Hotels part of a big brand may not have a website to call their own but rather only have a page extension on their brand’s site. Having your own website is an exceptional way to showcase your individuality and put forth the best representation of your hotel online. With the massive influx of social media platforms seemingly popping up every other week, marketers sometimes have a tendency to place a greater emphasis on developing their presence on these channels and may forget about the importance of building a strong website. While having brand recognition is an important driving factor, creating your own vanity website is vital to driving bookings, revenue and filling up ADR. Here’s a look at the benefits that stem from creating your own website. One of the best reasons for your hotel to have its own website is the fact that you can display all your hotel’s visuals much more prominently. This is an opportunity to personalize your story with fresh and vibrant images. A visual-first mentality is a great way to represent your property and let your imagination run wild so you can have fun with your hotel’s narrative. Remember, 90% of all information that gets transmitted to our brains is visual, so bold images representing your story is the quickest route to evoking an emotional response from your audience – and capture that booking. Having the creative freedom to determine what kind of experience you want your visitors to have on your site plays a massive underlying factor in your hotel’s originality. The overall layout and structure of how you want your home page to look and feel are entirely up to you. Contemporary websites are shifting away from a set in a stone mold or basic template. Of course, you still need to include key information travelers are looking for (such as your location, contact information, and a link to your booking engine). However, some of the best hotel websites nowadays are the ones that walk their own path and try something different from the pack. Amplifying your hotel’s location means getting creative with your digital media gallery and looking beyond your property for ideas. This is one of the greatest benefits to having your own website because you can source images from all things local to help add substance to your story. Local events and attractions, the surrounding city and neighborhoods, parks, sporting events all play key roles into what differentiates your hotel from the hotel down the street. Unique photos customized to your story all play into the entire travel experience that prospective guests are looking at when deciding upon a hotel for their journey. Appearing on your brand’s home site can still do wonders for your SEO efforts because it basically acts as free marketing and generates traffic back to your site. Now with your own website, you have much more flexibility over the entire design and the various intricacies that go into allowing your page to organically rise in search engine rankings. This can be achieved by improving your keywords, headers, social media links and being maintained frequently with fresh and important content to travel shoppers. Another wonderful benefit when your hotel has its own website is the ability to promote your hotel’s own social media accounts. When your hotel is on the brand’s website, the social media links direct travel shoppers to the corporate brand’s social media accounts. Having your own social extensions are unbelievable vehicles to enhance your hotel’s independence and to create fun with your story too. It is important to note that acquiring your own website comes with larger responsibilities and maintenance. Running a functioning website is certainly not a one and done project where you set it and forget it. The onus will now be on you and/or your webmaster to provide regular upkeep, make sure all links are working, fresh images are circulating through and monitor your analytics to make sure you know what is and isn’t working with your audience. 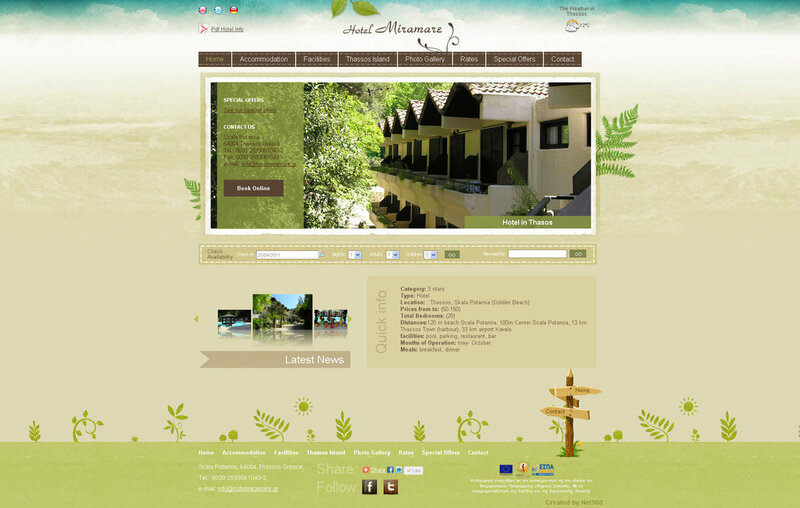 Think of your website as the core foundation for your hotel’s web presence. Everything stems from that like major highways leaving a city center. The end game for hoteliers is to drive more direct bookings through their website, so think about making the shift to an independent existence for your hotel in 2015.